The mainstream media — that is, the liberal media — share all the views and characteristics of the left. Among these is the left’s view of truth. There are honest individuals with left-wing views, and dishonest individuals on the right. But truth is not a leftist value. Everything the left believes in is more important than truth: social justice, economic equality, reducing carbon emissions, expanding the power of the state, battling sexism, homophobia, Islamophobia, racism, and above all of these, destroying its conservative opposition. On March 16, the day after Garland’s nomination, every major mainstream news outlet, both print and electronic, depicted the judge as a centrist. In reviewing Garland’s decisions, this Times piece placed Judge Garland to the left of Supreme Court Justice Elena Kagan, way to the left of Justice Stephen Breyer and minimally to the right of Justices Sotomayor and Ginsburg. By their own accounts, the liberal media lied in describing Garland as a centrist. And the more research one does, the bigger this lie appears. Elsewhere in the Journal, the editorial board wrote that they can’t think of a single issue on which Garland would vote differently from the four liberal Justices that already sit on the bench. Those are all the fundamental issues that divide the left from the right. So, the entire left is lying about Judge Garland, who, for the record, seems like a truly decent man who possesses a first-class mind. They do so because getting a fifth left-wing vote and weakening the Republicans is far more important than truth. And believe it or not, there is an even worse lesson here, namely the media’s effectiveness in saturating society with its mendacious version of reality. Unless an American makes the effort to study the issue — and most do not — they take the news media’s version as truth. The terrible lesson, which has been affirmed time and time again since the 1960s, is that a free society can experience brainwashing as effectively as a totalitarian state. The reporting on Garland is (SET ITAL) that (END ITAL) false. 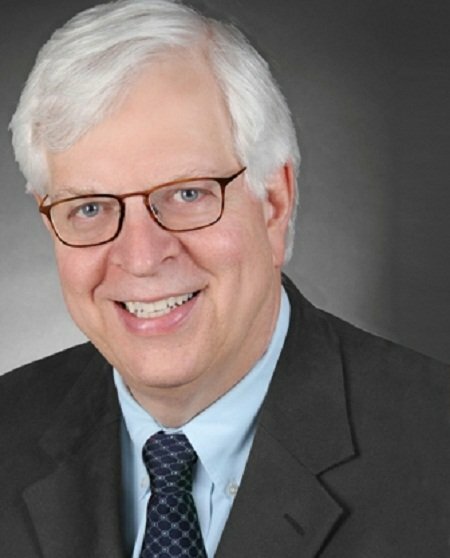 Dennis Prager’s latest book, “The Ten Commandments: Still the Best Moral Code,” was published by Regnery. He is a nationally syndicated radio show host and creator of PragerUniversity.com.